Michigan maps showing counties, roads, highways, cities, rivers, topographic features, lakes and more. The Michigan Mineralogical Society was organized in 1935 by a Michigan group of mineral collectors interested in furthering the hobby of mineral, fossils, gem collecting, geology and earth science education in Michigan. The Society is incorporated as a non-profit educational organization and is a member of both the American Mineralogical Societies and Midwest Federation of Mineralogical and Geological Societies. Organized in March 1935, it is the oldest Society/Club in the Midwest Federation and in Mid America. “The Conglomerate” is the official bulletin of Michigan Mineralogical Society, first published in 1940 and is one of the oldest in the United States. Today, membership is open to all persons interested in the education and promoting interest in all aspects of collecting, mineralogy, paleontology, and the earth sciences. The Michigan Mineralogical Society meets on the second Monday of the month, September through May (except October and January) at Cranbrook Institute of Science, 39221 N. Woodward Ave. Bloomfield Hills, MI 48303. At meetings, doors of the Institute open at 7:00 p.m. to allow time for MMS members and their guests to enjoy the mineral hall exhibits. Programs begin at 7:30 p.m. Visitors are always welcome at meetings. Membership applications may be obtained on this site or at the meetings. Annual Dues: Adult $20.00 Students $5.00, New member initiation fee of $5.00 with annual dues. The Flint Rock and Gem Club is a non-profit organization. Its purpose to promote and encourage the understanding of earth sciences, lapidary arts, and their related fields. Our goal is to share information with club members, educational institutions, and the general public. Club meetings are held every third Thursday of the month, January through October, at the Clio Senior Center 2136 W. Vienna Road in Clio. Please note there are no meetings in the months of November, December, and January. Executive board meeting: 6:00 pm. General membership meeting: 7:00pm. Visitors are always welcome. Membership dues are $10.00 per year, which includes the club newsletter, participation in the annual rock swap, the Flint Rock and Gem Show, club picnic, and annual banquet. Junior members (under 18 unless in college) are $5.00. Family memberships are also available for $20.00/year. 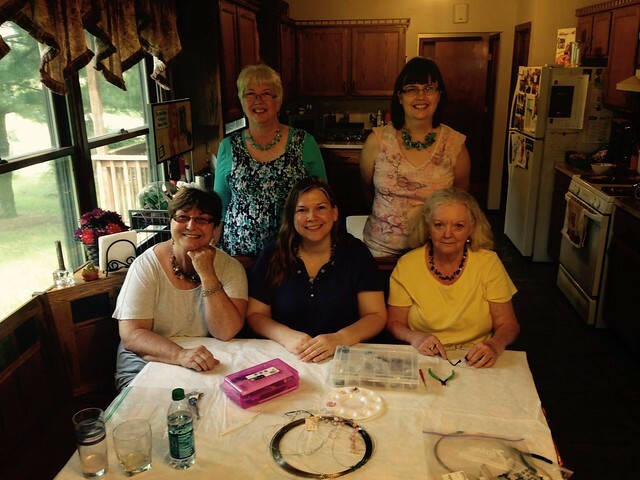 Cabochon classes are on Mondays from 5:00 pm – 8:00 pm. The Flint Rock and Gem Club is a member of Midwest Federation of Mineralogical & Geological Societies. Our Mission The Livingston Gem and Mineral Society is a nonprofit organization and member of the Midwest Federation of Mineralogical Societies. Our purpose is to promote, through educational means, public interest and increased knowledge in the fields of mineralogy, archaeology, paleontology, and the lapidary arts. Kalamazoo Geological & Mineral Society | to further interest in gems, minerals, geology, paleontology, and the lapidary arts. Source: Kalamazoo Geological & Mineral Society | to further interest in gems, minerals, geology, paleontology, and the lapidary arts. Central Michigan Lapidary and Mineral Society is a non-profit organization, meeting to promote interest in, and increased knowledge of the fields of mineralogy, paleontology, geology, and the lapidary arts. It was organized in May 1957. Meeting Place: Okemos Masonic Center, 2175 Hamilton Rd, Okemos, MI. (Map) Regular Meetings: Third Thursday, except July and August (Sched.) Meeting Time: 7:30 p.m., doors open at 7:00 p.m. Annual Dues: Adults $10.00, Family $15.00, and Students $2.00 Board Meetings: First Thursday, except July and August; 7:00 p.m. We welcome anyone interested in rocks, geology and rockhounding to attend our meetings. The Michigan Gem and Mineral Society (MGMS) is a chartered nonprofit 501c3 corporation, which held its first meeting on March 4, 1954. It is a gathering of like-minded rock, mineral and fossil enthusiasts who come together to share their common interest and make new friends and share their stories. MEETING TIMES AND LOCATIONS: During the months of April and May MGMS meets on the SECOND THURSDAY at 6:30 pm in the Leoni Township Hall, 913 5th Street, Michigan Center, MI 49254. MGMS meetings in September, October, November, January, February and March are held on the SECOND SATURDAY of each month at 1:00 pm at the Leoni Township Hall. In the summer months of June and July, MGMS meets on the SECOND SATURDAYS at 1:00 pm, for potlucks and various activities. Each month’s location will be announced in the newsletter, via email and on this web site. NO MEETINGS IN AUGUST. FIELD TRIPS: During the year MGMS goes on several field trips to different locations in Michigan, Ohio and Indiana. These are different opportunities to have fellowship and collect new specimens of rocks, minerals and fossils to add to your collection – or to begin a new collection! These field trips are announced in the newsletter, via email or at this site. Mt. Clemens Gem & Lapidary Society (MCGLS.ORG) Message Now http://www.mcgls.org/ MORE INFO About Gem and lapidary club. Company Overview Our purpose is to educate the general public about the lapidary arts and earth sciences. General Information Board meeting is held on the last Thursday of each month. General membership meeting is held the first Thursday of each month. Meetings are open to the public. STORY To accomplish this we conduct an annual Gem and Mineral Show with the Friday of the show weekend being dedicated to schoolchildren from the county. We also offer a wide range of classes in the lapidary arts. Refer to our calendar on our website (mcgls.org) for the current offerings. These classes are open to all. Children over 10 years need education committee and parental approval. Our general club meetings contain a business portion plus a 1 hour presentation of some aspect of our hobby. This meeting is open to all. If you are curious as to what we are about feel free to visit us for one of our general meetings. The StateLine Gem and Mineral Society StateLine meetings are held on the first Sunday of the month at 2:00 p.m. at 201 W. Main St., Morenci, MI 49256 Everyone is welcome! Hope to see you there!